Indoor air quality (IAQ) is directly linked to your health. Poor air quality is linked to a variety of medical issues, including serious heart and lung diseases. Fixing air quality issues to avoid health problems requires you to at least monitor your environment for airborne particles (aka PM 2.5). IAQ monitors need to be able to detect particulates all the time to be effective. They should reflect the correct levels of contaminants in the air, or as close to the correct levels as possible. For your health and safety, accuracy of the air quality reading is essential. Readings should represent the actual quality of the air in the room, rather than a small portion of the air that’s closest to the monitoring device. To be accurate, a device must detect the right particles. Air quality is based on many different potential pollutants, but the accuracy will mostly be judged on detection of inhalable particulate matter (PM2.5) in the air, VOC concentrations, relative humidity, and temperature. Some monitors can detect carbon dioxide (CO2) levels, though CO2 is not considered a pollutant, while others also detect carbon monoxide (CO) and radon. As air pollution levels rise or fall, the smartphone app’s readings should rise or fall by the same amount, or as close as possible. Consistency helps you recognize when there’s something positive or negative affecting the air quality. When a device is consistently displaying higher or lower readings than the actual concentrations of VOCs, carbon dioxide, and other particles associated with health issues, consistency is what differentiates air quality monitoring mobile apps. If the particle concentrations are off by the same amount in one direction every time, this is called a bias. A device with a consistent bias can be trusted more because it will still show you an accurate reflection of how much the air quality is changing, positively or negatively. Inconsistent devices may not give you a complete picture of how much your air quality is changing and may be less accurate at some points than others without your knowledge. Scientific instruments that use the latest technology can give pinpoint accuracy for large and small particles, including those below 0.3 microns in size. But, they are prohibitively expensive for home and personal use and are mostly reserved for situations that require near perfect accuracy, such as research. Personal air quality monitoring instruments like smartphone apps have a more consumer-friendly price point with less accuracy than scientific devices. For personal use in the home, office, or a regular public place, exact accuracy is not always necessary. These instruments are used to detect quality changes that could lead to health issues, and hence ensure your environmental protection. Even when a device cannot detect anything smaller than 0.3 microns, it can still detect enough to alert you when your health may be at risk. For example, families in Hong Kong or New York City may use an app to warn them about poor air quality so they can take immediate action to improve it. It’s important to notice that in a laboratory you may create a polluted environment with ultra fine particles only, althought in a real-life situation, if your environment is polluted by these very ultra fine particles, you would most likely have larger particles too, that an instrument like Foobot could detect. For home use, devices generally cost less than $300. The top three options in this list were included as the best performers in a Berkeley Lab study, while the fourth listed is commonly recommended for accuracy in a few specific readings. Out of the personal devices studied and personally tested, the Foobot air quality monitors consistently perform well where it matters. Foobot focuses mainly on PM2.5, VOC concentrations, and humidity. While it can detect CO2, the method of measuring can result in inaccuracy. It’s been shown to read PM2.5 levels in the air more accurately and consistently than similar devices. That’s why Foobot holds the distinction of being the best performing device for $200 or less. It can be programmed to give you alerts when air quality changes too much and it can be connected with other home systems to allow immediate adjustment when needed. AirBeam is priced closer to $250, putting it on the higher end of the cost spectrum for personal use devices. It’s been shown to read PM2.5 levels in the air more accurately and consistently than similar devices. 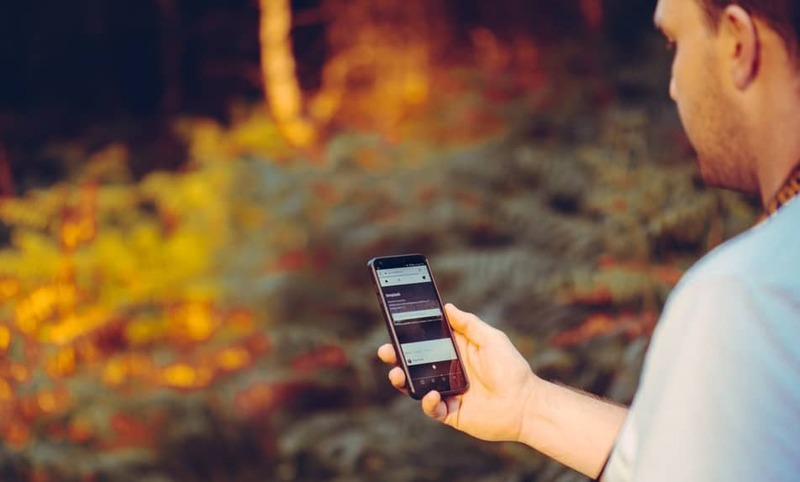 The Android mobile app for the AirBeam connects to your mobile device via Bluetooth. It uses open-source software that tracks data readings from all devices to create maps of air quality trends in different geographical areas. In most conditions of different tests, Purple Air II had moderate to good accuracy. The temperature and relative humidity readings are very precise and most data points were consistently accurate in field and laboratory tests. Larger particle readings for PM10 were not as consistent as the levels increased. Bias shifted further away from the actual reading as levels increased. Although Awair and Foobot use the same physical sensors, the software is not calibrated to the same accuracy. In most tests Awair did show relatively accurate results for PM2.5. However, consistency became an issue as higher levels of pollutants were detected. The Awair also does not have a good mechanism for detecting relative humidity. For the $200 price, it can be a useful mobile app for your personal health monitoring, albeit probably not the best value for the money. How to monitor air pollution at home, including toxic concentrations of airborne particles, nitrogen dioxide, and carbon dioxide, using the right instruments.